After almost twenty years, the Sony Online Entertainment studio is no longer part of Sony. 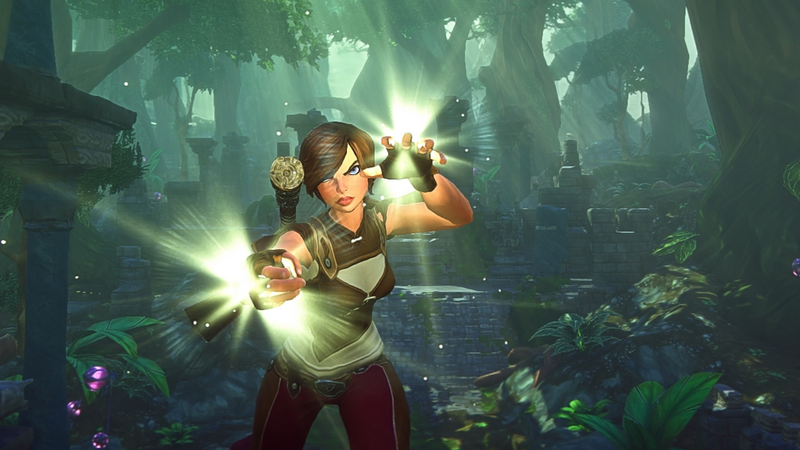 Sounds like we'll be seeing games like EverQuest and H1Z1 on the Xbox soon. Since they can't call themselves Sony anymore—and "Online Entertainment" isn't quite as catchy—they've picked a totally new name. Meet Daybreak Game Company LLC. With the completion of the transaction, SOE will now operate as an independent game development studio and will continue to focus on creating quality online games, providing excellent service to its extensive player base, while centering on its untapped potential as a multi-platform online gaming company. Originally founded as a Sony internal development studio back in the mid-90s, SOE has long been known for creating EverQuest, one of the most popular and influential MMORPGs. (The game was so addictive, people took to calling it EverCrack.) They also worked on online games like The Matrix Online, Star Wars Galaxies, and the ongoing sci-fi game PlanetSide. The studio's big current projects are the zombie game H1Z1 and the MMORPG EverQuest Next, both of which will now presumably be developed for Xbox as well as PlayStation.